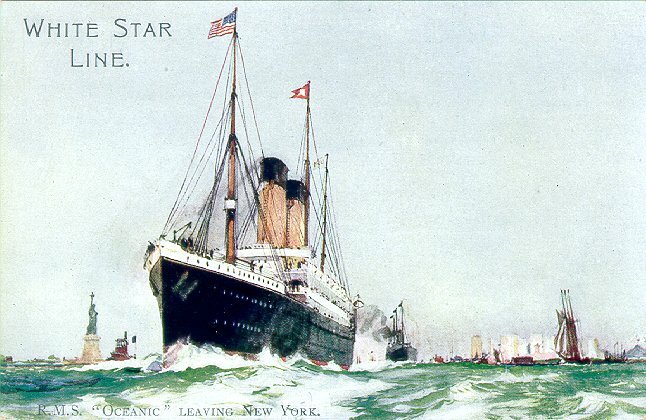 Oceanic was perhaps the most distinguished name White Star assigned to any of its ships. 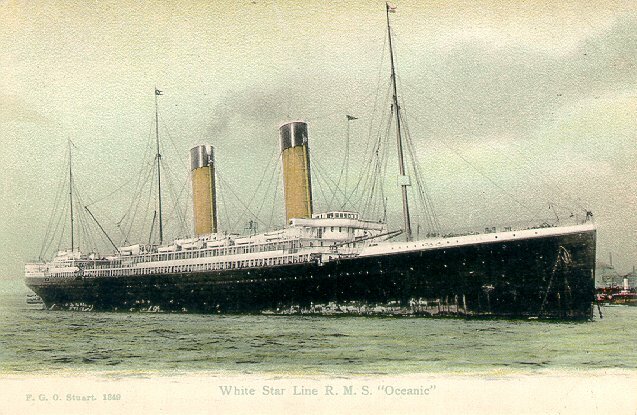 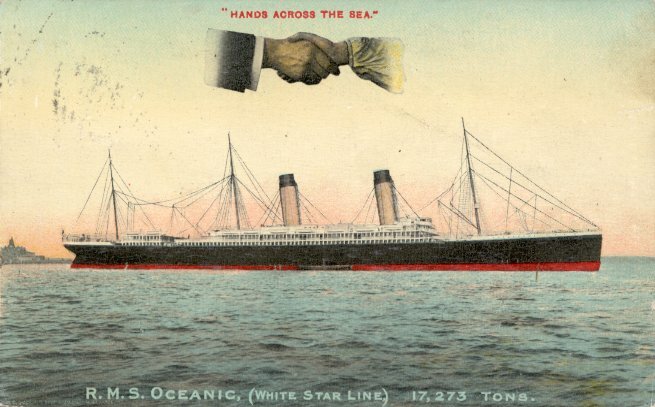 Not only was Oceanic the formal name of the company that ran the White Star Line (Oceanic Steam Navigation Co., Ltd.), but the first Oceanic was one of the greatest White Star liners. 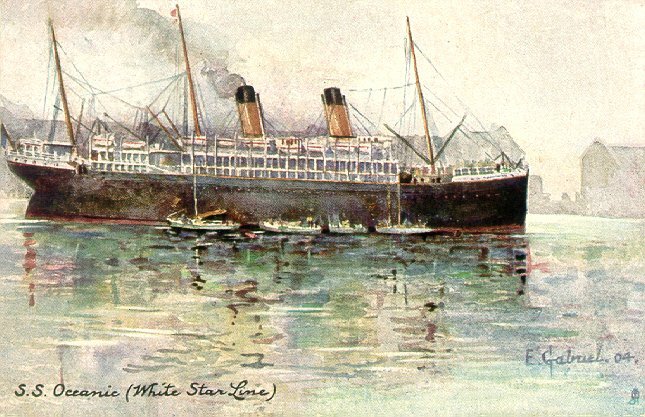 She was the first ship built for White Star after Thomas Ismay bought the White Star name, and her innovative design set new standards for ocean travel. 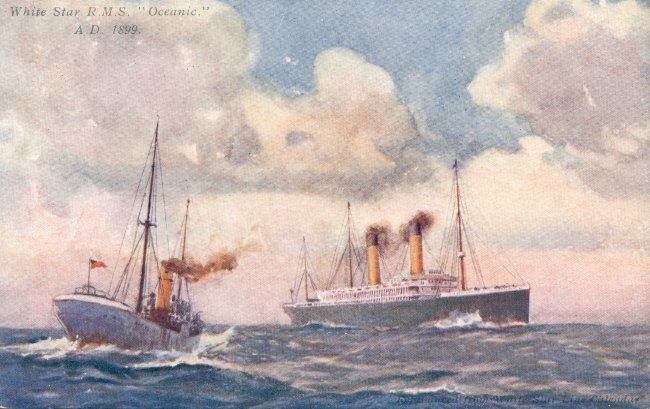 The ship shown here, the second Oceanic, was intended as the first of two sister ships, but the second (which was to have been named Olympic) was never built. 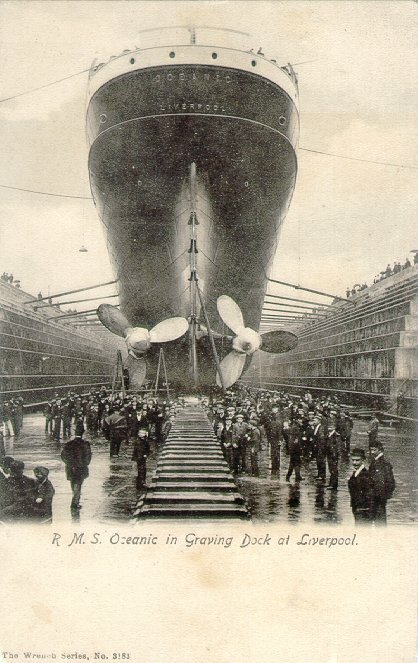 Built by Harland and Wolff, Belfast, Oceanic was the first ship to exceed the legendary Great Eastern in length and was the largest ship in the world from 1899 to 1901. 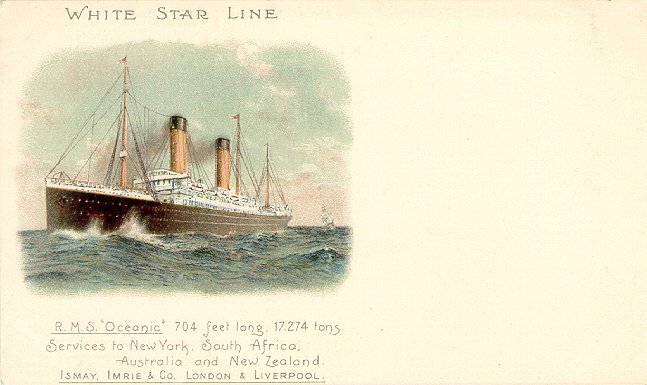 Launched in January 1899, Oceanic made her maiden voyage from Liverpool to New York on 6 September of that year. 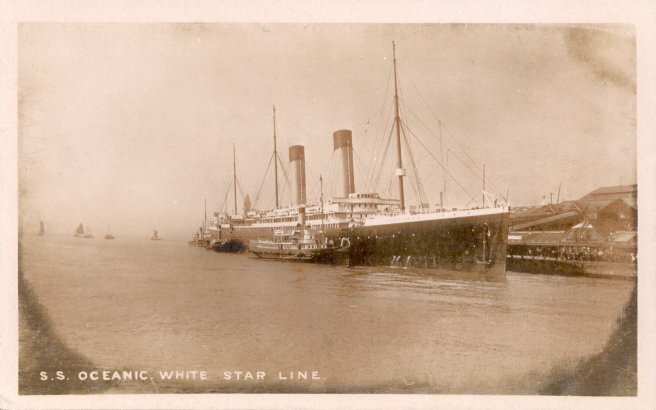 In 1907, she, Majestic, Teutonic and Adriatic moved from Liverpool to Southampton when White Star moved the terminus of its primary service there. 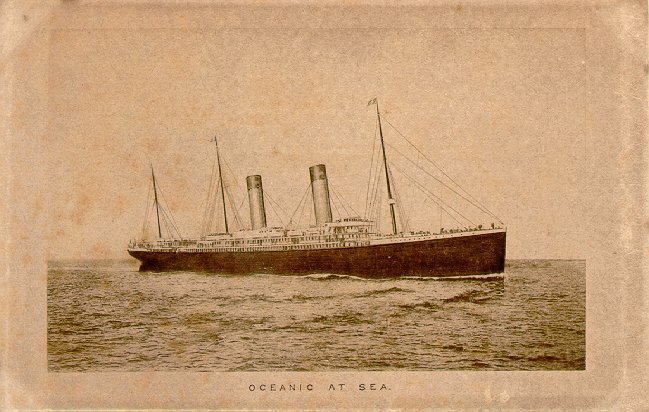 Oceanic remained on that route until 1914. 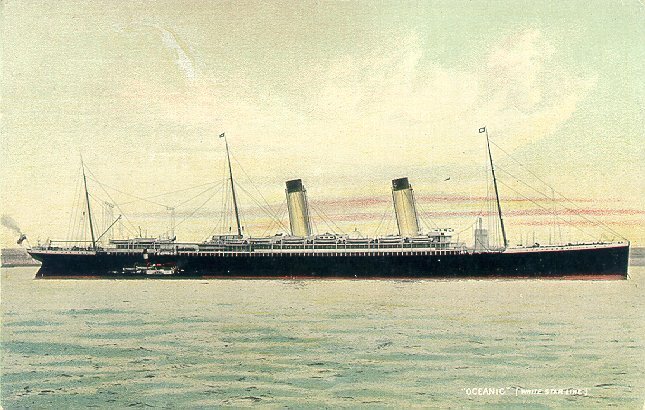 When World War I broke out, Oceanic was one of the first ships requisitioned for service as an armed merchant cruiser; she was commissioned on 8 August 1914. 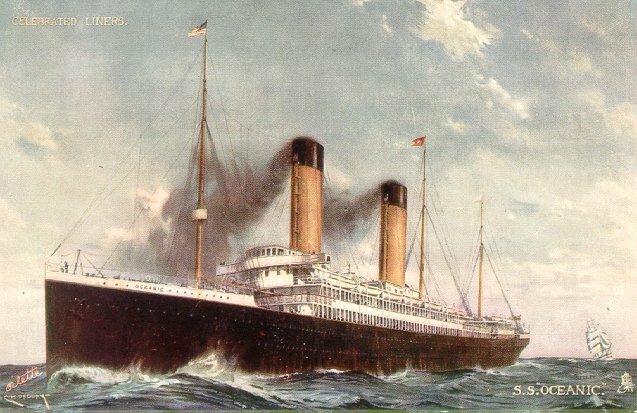 She was also the first Allied passenger ship to be lost in the war, but it was navigational error that did her in, not enemy action. 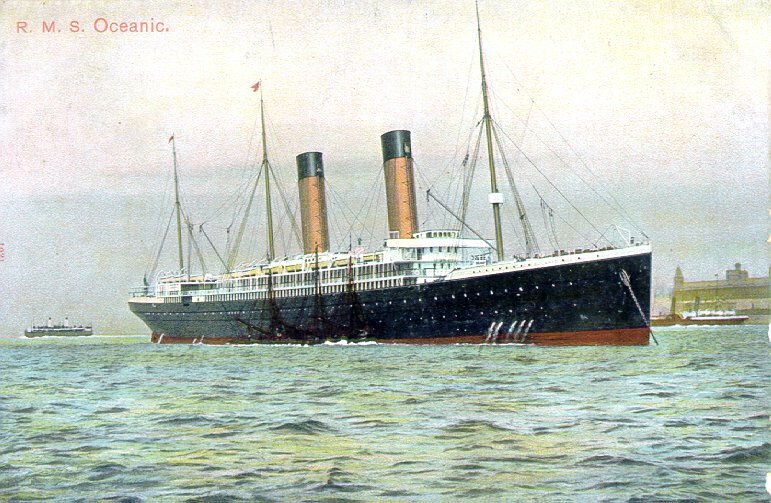 Oceanic ran aground in the Shetlands on 8 September 1914 and was declared a total loss. 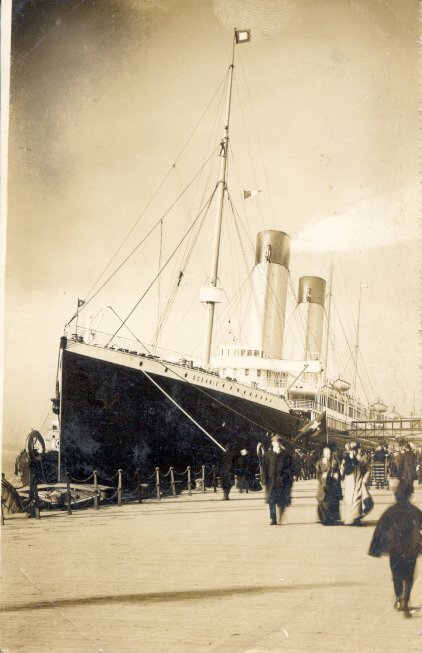 She was broken up on the spot, a process which lasted until 1979. 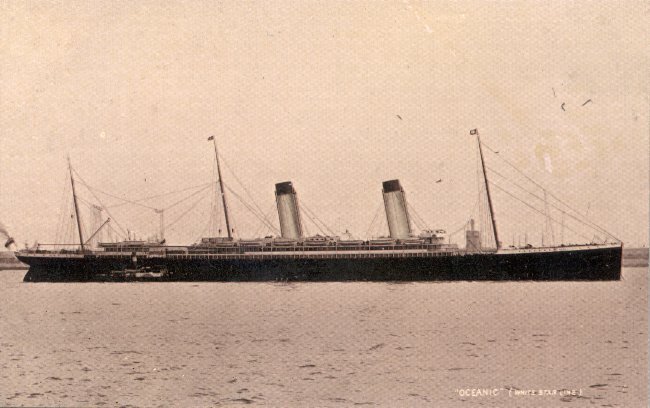 The third Oceanic was laid down in June 1928. 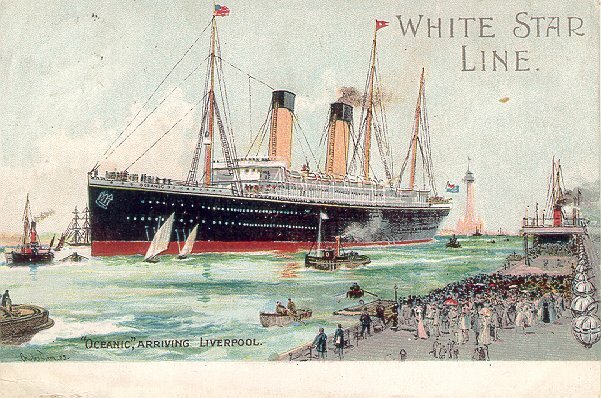 She would perhaps have been the greatest White Star liner of all. 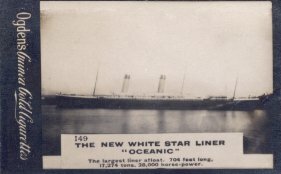 Planned as a 1000 foot, 60,000 ton, diesel-electric powered giant, she was never completed because the combination of the Great Depression, decreased passenger loads due to U.S. immigration restrictions and financial mismanagement of White Star made it impossible for the Line to find the financing necessary to complete her.